Here are some tips on how to avoid it. In short – dig early, consider location. Maine is entering plant-sale season. This is when garden clubs, plant societies and other groups with anything to do with growing things raise money by having members dig and divide their perennials, pot up some of the divisions and sell them. This practice benefits the groups because they raise money to support community projects and the buyers because they get plants at lower-than-retail prices. LAST WEEK, I wrote about the things you need to do to get your garden ready for the gardening season. Here’s one more: set up your rain barrels. TRUE, WE’VE HAD above-average precipitation, and gardens that aren’t well-drained might be too soggy to work. But you want your rain barrels full when the dry days come – as they probably will. THE PORTLAND WATER DISTRICT, where my wife and I bought all three of our rain barrels, is selling them again this year. They cost $60, far less than garden centers charge. The ordering deadlines is May 18; order, and learn more, at pwd.org. I USE WATER from the rain barrels for all new plants, for many of our newly seeded vegetables and for all the containers around the house. It saves us a bit on the water bill, but that is not the most important consideration. THIS IS: Rain barrels prevent runoff, which carries pesticides, fertilizer and other pollutants into the ocean, eventually, and also into lakes and rivers around the state. The fertilizer produces algae blooms, and the other chemicals cause other serious problems. Rain barrels are an important environmental tool, and a very easy way to make a real difference. • MAY 11 AND 12, Camden Garden Club Plant Sale, 10 a.m. to 5 p.m. both days, 34 Elm. St., Camden. • MAY 19, Cumberland County Master Gardener Plant Sale, 8 a.m. to noon, Barron Center, 1145 Brighton Ave., Portland. • MAY 19, Tate House Museum Plant Sale, featuring heritage roses, perennials and herbs from the Tate House gardens, items from members’ gardens, and annuals from local nurseries. 1267 Westbrook St., Portland. • MAY 19, Longfellow Garden Club, Plant, pie and green elephant sale, 8 a.m. to noon, Woodford’s Congregational Church, 202 Woodford St., Portland. • MAY 25-28, the Lilac Festival and McLaughlin Garden in South Paris always includes an interesting selection of plants, many dug from the property. • JUNE 2, St. Mary’s Garden Club plant sale, 9 a.m. to noon, locally grown perennials, heirloom tomatoes, cosmos, dahlias etc. One of Maine’s largest garden clubs and always a good sale. 43 Foreside Road, Falmouth. • JUNE 2, Scarborough Garden Club, 8-11 a.m., Hunnewell House, Black Point Road, Scarborough. Over the past few years, this common fundraiser has developed a bug – literally, although the problem is a caterpillar and not a true bug. Winter moth has been devastating hardwoods – particularly oaks and maples – in several coastal communities in Maine, and the cocoon for the caterpillars is buried in the soil from late May through November or December. Plants that are dug up in infested areas during those months could carry the problem with them. For starters, so far only a few Maine communities have high populations of winter moth. They are Vinalhaven, Harpswell, Cape Elizabeth, South Portland and Kittery, according to Teerling. Some level of winter-moth contamination also exists in most coastal communities. The restrictions on moving firewood more than 50 miles are much more stringent because several insects and diseases that could destroy Maine forests exist in cut wood. Teerling said that organizations holding plant sales can do several things to reduce the possibility of spreading winter moth. First, dig plants for the sale early. The male and female moths leave their cocoons and mate in November and December, and the flightless females lay eggs on hardwood trees. 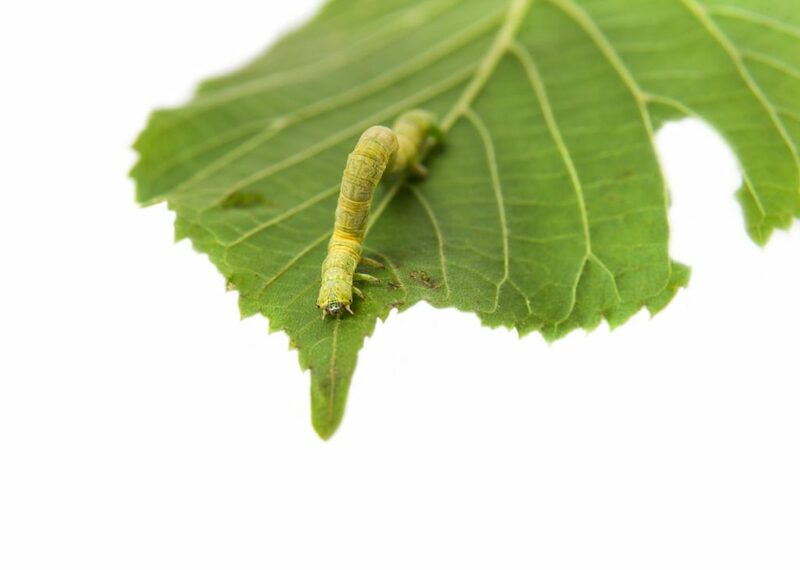 The caterpillars hatch in May, eating the leaves of hardwood trees and the occasional blueberry (or other) bush, before dropping to the ground where they form cocoons. So if the plants are dug early, the cocoons are unlikely to be in the ground. In addition, Teerling said, people growing plants to sell at plant sales should grow them in open fields, not under trees that are subject to winter moth. One of southern Maine’s largest annual plant sales is held by Cumberland County Master Gardeners, scheduled for 8 a.m. to noon May 19 at the Barron Center on Brighton Avenue in Portland. The Master Gardeners sale has a lot more variety than most garden club plant sales. Hargest said the group emphasizes native and pollinator plants, but also has herbs, vegetable seedlings and flowering annuals. Some are divisions from member gardens, but others are started from seed and a few are grown for the group by a local commercial farm. Shoppers at plant sales have responsibilities, as well. A gardener from a town well away from the coast, where there is no evidence of winter moth, should not buy plants at plant sales along the coast, where winter moth is likely to exist. Such moving of plants could spread the pests hundreds of miles. Teerling said the sporadic nature of heavy winter moth populations along the coast is probably because summer residents brought plants from their homes in eastern Massachusetts, which is heavily infested with winter moths, to their summer homes in Maine. However, a gardener who lives in area that already has winter moth can buy plants from infested areas because the problem already exists in the garden where the plant will be going. While, as Hargest says, washing plant roots is a lot of work, sometimes it can’t be avoided. McLaughlin Garden in South Paris is creating a garden of irises that were developed by famed Maine hybridizer Currier McEwen. McEwen’s daughter, Ann Standridge, offered divisions some of her father’s irises – but because Standridge lives in Harpswell, one of the first communities in Maine to get the winter moth, the workers took special care to clean every iris rhizome so the area in South Paris wouldn’t get the pest. Of course, rhizomes would be easier to clean than true roots.